Homes for sale in Sacramento – the capital of California and historically a leading agricultural and Transportation center. Sacramento, the capital of California, has been a leading agricultural and transportation center for most of its history. In the past 15 years, as costs have escalated in California’s coastal cities, thousands have migrated to the area for its reduced cost of living and proximity to San Francisco and Lake Tahoe. Historically, the City of Sacramento has a reputation as the “City of Trees” in recognition of its beautiful tree canopy. It is at the confluence of the Sacramento River and the American River in the northern portion of California’s expansive Central Valley. Its estimated 2014 population of 485,199 made it the sixth-largest city in California. 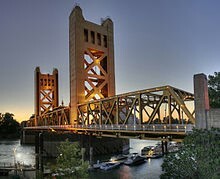 Sacramento is the cultural and economic core of the Sacramento metropolitan area, In 2002, the Civil Rights Project at Harvard University conducted for Time magazine named Sacramento “America’s Most Diverse City”. During the California Gold Rush, Sacramento was a major distribution point, a commercial and agricultural center, and a terminus for wagon trains, stagecoaches, riverboats, the telegraph, the Pony Express and the first Transcontinental Railroad. The city was named after the Sacramento River, which forms its western border. California State University, Sacramento , more commonly known as Sacramento State or Sac State, is the largest university in the city and one of 23 campuses in the California State University system In addition, the University of California, Davis, is in nearby Davis , 15 miles west of the capital. The UC Davis Medical Center, a world-renowned research hospital, is located in the city of Sacramento. The Sacramento area has a broad variety of recreational opportunities including water and mountain sports. Excellent skiing and many other recreational opportunities are a moderate day trip away. 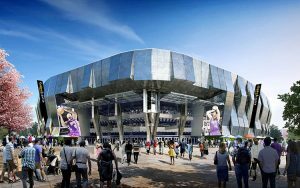 Professional sports teams, such as the NBA Kings, add to recreation and the overall economy, and the arts and culture scene is on the upswing. Both the American and especially Sacramento rivers were and are key elements in the economic success of the city. Now both rivers are used extensively for recreation. The American River has become an international attraction for rafters and kayaking and the Sacramento River sees many boaters, who can make day trips to nearby sloughs or continue along the Delta to the Bay Area and San Francisco. Golden 1 Center is a multi-purpose indoor-arena in downtown Sacramento, California. The publicly owned arena is part of a business and entertainment district called Downtown commons which will include a $250 million 16-story mixed-use tower. The arena hosts concerts, conventions and other sporting and entertainment events. It is the home of the Sacramento Kings of the National Basketball Association. The City of Sacramento and the Sacramento metropolitan area is home also to numerous minor league and amateur sports teams. In 2000, AAA minor league baseball returned to Sacramento with the Sacramento River Cats , an affiliate of the San Francisco Giants. . The River Cats play in Raley Field , located in West Sacramento. 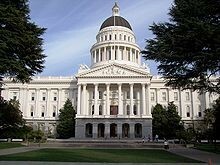 Sacramento hosted the 2000 and 2004 USA Olympic Track & Field Trials and hosts annually the California International Marathon which finishes in front of the Capitol, and attracts a field of international elite as well as thousands of amateur runners. The Sacramento International Airport (SMF)is the “Gateway to Northern California and the World. SMF offers direct and nonstop flights to and from destinations throughout North America. It is located 10 miles northwest of downtown in Sacramento County. Sacramento a Great Place to Live! Sacramento is quickly becoming a hot spot for urban nightlife and an arts scene that rivals other cities and has exceptional cultural, artistic, and leisure opportunities that enrich the quality of life, contributing to a vibrant metropolitan region. Being one of the most historically diverse cities in California comes with benefits, and a large host of museums is one of those! With Sutter’s Fort, the Crocker Art Museum, the California State Railroad museum and more. Have More Questions About Sacramento, CA?